I’m very pleased to announce that Packt Publishing is organizing a giveaway contest for Learning QGIS 2.0. All you need to do is comment below the post and win a free copy of Learning QGIS 2.0. Read on for more details. Simply post your expectations for this book in comments section below and you could be one of the lucky participants to win a copy. DeadLine: The contest will close in 7 days on December, 12th 2013. Winners will be contacted by email, so be sure to use your real email address when you comment! Please note: Winners residing in the USA and Europe will receive print copies. Others will be provided with eBook copies. It would be great to have more formal documentation to work from (as I work in State Gov. having books gives it legitimacy) as I look to incorporate QGIS into projects and processes. And from what I have seen and heard, this is a huge resource. Personal expectation would be to help me break into geoprocessing and improve my limited use of the Print Composer. Would be nice to find some efficiency in my workflow that I may not know how to approach now. Hi. I am a Geospatial Science student in Kenya. I would really like to know more about map design in Qgis. I’ve done map making in ArcGIS but i’ve had lots of licensing issues on my laptop. Therefore i’m thinking of going open source full time. I expect a book for beginners that will also be useful for advanced users. I hope it will contain lessons in python scripting and python console. I hope this book will serve as textbook for beginners who want to learn GIS software. I would expect to learn many of the changes from version 1.8 to help me get up to speed quicker with using all the new features or old features in new places. I think a primer for those who are coming from an ArcGIS background would also be helpful. I still find myself falling back on the ESRI way of doing things when I try something new in QGIS and it’s helpful to have something that translates that experience to QGIS. Simple recipes for doing common tasks would also be helpful with simple guides we can integrate into our workflows. Thanks for the work in putting this book together. I’m sure it’ll be a great resource. I enjoy your blog and would love to have a book. As a public health researcher I occasionally get a chance to make maps. I have referenced your blog and work before to improve upon my own maps. I’d expect to go beyond the Qgis basics, see what’s new in 2.0 version with respect to previous ones and become a lot more proficient in creating new visualizations directly from Qgis. I started reading it from my University library. I have using QGis for a number of years and still learnt some stuff. Great book! If I don’t win a copy, I’am simply gonna get it for future reference! There are not many printed manuals for open source GIS-software, and the ones that exist are usually quite techie. I guess this book is written with a more comprehendable approach and I look forward to read it and use it to spread the word about OSGIS. I have long served their post on routing, the book would be interesting to talk about similar issues, what I mean is issues with common applications. I’m hoping the book will teach me how me do things in QGIS that exceed what can be done in ArcGIS, and without all the bugs and crashes that I get in the proprietary, licensed and expensive tool. I hope to gain some more knowledge on pyqgis and python scripting after reading this book. Also, it would be great resource to make people realize FOSS might be a way to go. Looking forward to reading and learning from my 2nd FOSS4G book. The first one was on GRASS GIS and got me going for the topic long time ago. Its about time for an update! And I hope that the book is a good starting point for newbies. This book would be very useful to reinforce my knowledge in map composition, and I’m sure it would help me to know some new QGIS features. Since at my university they only teach ArcGIS and I am really into open source software I would love to do all the GIS work in QGIS. I would expect this book to be a big help transferring the methods to QGIS. I hope to convince my colleagues that it is more powerful and usable than ArcGIS – without accessible documentation for alternatives, people will get stuck in their ESRI rut. I expect a book that is easy to read, perfect to suport university seminars and attractive like the posts on this blog. QGIS 2.0 is a huge improvement from the previous version and it deserves a lot of promotion. I expect with the book to learn or to undestand about execution of tasks, find aspects about use Python language and your action recursives of automated responses beyond mainly aspects linked to vectorization and creation of layers. Interations about remote sensing. I expect to go more about QGIS because i am new to this software,it is very useful my job in water district to project the actual lay-out of our water pipes from main line through the distribution pipes.having this book will help me a lot to make thing better and easier.thank and more power! I am looking to learn how to leverage open source GIS rather than being shackled to ESRI products and I hope this book will help me start achieving that goal! I have been using Quantum GIS 1.8 and I can accomplish my tasks but would look to a text like this to showing me something new or perhaps an optimal use of various plugins or tools. My hope would be that this text would also be useful in terms of a teaching guide to provide training to others. My expectations are to have a book that teach me each and every things at beginner level and to some extents at intermediate & advanced levels, for this good open source competitor of commercial ArcGIS. I would love to understand some more of the scripting and complex tasks in QGIS 2.0, and would hope it will complement education in QGIS as a professional and hobbyist in cartography. I expect to be able to use QGIS to do all tasks I do in my everyday use of a GIS software. It would be great to receive formal documentation that would assist me with he development of QGIS 2.0. I have used QGIS 1.8 since it was released, so having ro move over can be a little difficult. This would definitely assist my transition feom the previous version ans extend my knowledge on the application. What I’m hoping for, is an in-depth guide on how to use QGis ‘beyond the obvious’. The visualisation of rasters and vectors (and WMS) is pretty straight-forward in QGis, but in particular the analysis part of the program – despite being there and functional – is not always easy to grasp at first. To give an example: I was working with the Georeferencer the other day. There’s several transformation and Resampling parameters to choose from (all listed nicely in a dropdown list), but quite frankly… I was clueless which suited my needs best. QGis has grown to include ALOT of functionality, for which I’m well aware I’m not even close to understanding half of it. It gets done what I hope to achieve with it, based on what I know it can do. Finding out what else ‘beyond the obvious’ is what I hope from the book. Had stumbled upon the link on amazon or so – was considering a purchase already (or get my employer to buy me a copy). I wish to read something about editing vector data: topological editing, line tracing, autocompletion, attribute transfer, etc. : all that stuff, that costs many mouse clicks in ArcGIS. Hands on examples for workflow automatization, scripting. Building and organizing big geodatabases on PostGIS with QGIS (e.g. global vector and raster databases). Metadata management. I expect a good introduction to the processing environment and to the print composer. Some details about scripting would be a nice addition, too. I would like to know more about QGIS server and webclient. I could also really benefit from simple explanation on PostGIS – QGIS relation and maybe even some information on data mining. I would expect a tour out in the corners of QGIS, where I do not normally venture. Maybe there is a killer feature hidden in there somewhere, that I have not yet stumbled upon. I expect a good introduction to the interface and a comprehensive coverage of the basic GIS tools. I also need this book to explain how and where Python scripting fits in with good examples of jobs that can be done more efficiently with code. It should have a detailed walk through of plugins, and particularly GRASS integration. I’d like a book that helped me make the most out of QGIS. I have tinkered, produced a few maps and bits of analysis, but a better understanding of core concepts and the analytical power would be really great. The power of GNU philosophy :) Probably, this post will have highest no. of comments. I expect a useful guide to both beginners and confirmed users. I’d like to see a big focus on QGIS 2 new features, python scripting and processing toolbox. Most of all, I expect a book I can proudly recommend when asking for a QGIS reference! I want to have a copy of this book even in e-version for Python scripting, SEXTANTE and Web-GIS related aspects. A general goal is to find a set of geospatial analysis lessons correctly mapped to QGIS so as to facilitate the promotion of the software in the GIS community. A personal expectation is to find a detailed review of the functionality of QGIS that allows me to improve my understanding beyond my everyday workflow. I hope to see a (small) section on how to deal with QGIS when it doesn’t do what you expect – often the solution I use is to restart the program, and that solves many small problems, but it would be good to have some techniques working out why it does this! I expect a nice illustrated guide to lern QGIS – not generally GIS software – with spezific background what single tools do. Furthermore I expect that it is a good reference book, which I can use to look up specific questions or tool without reading the whole book – so there have to be a logical order in it. I hope that it is also explained when buttons are grey or what error messages could mean. Last but not least I hope that there will be a part of the book dealing with the connex between python skripting and QGIS so how to automate – maybe even in addition of using grass or other open source software. All important things from data import to analysing tools to generate maps with legends have to be handle in a way beginners and advanced users can understand and work with. I’m curious about it! Thank you for doing this, i’am waiting from Morocco..
My expectations are quite high. I can’tremember the number of times that I follow Underdark posts to recreate some great analysis with my own data, and in every one of them I always find something I didn’t know about qgis, therefore I can just imagine how many more I will learn from the book. Excited to see the great content on the way! I would like to see coverage of the changes in plugins and the Python console. Thanks. I am very interested in creating animated maps from data in spreadheets. I am hoping this book will will help me learn about data extraction, manipulation, for both points and polygons to help me create the animations I need. I expect a book that would take someone with some GIS background and make them productive using QGIS. It’s a perfect opportunity to improve my knowledge of QGIS with this book and spread this power of Open Source GIS tool – Quantum GIS to others in my environment. QGIS is a very good open source tool in the book “Learning QGIS 2.0” specifically hope to learn the basics of spatial analysis and apply it to QGIS in order to replace the use of ArcGIS in the UNAM, create beautiful maps using very simple tools and SLD. Would expect it to be much more than the QGIS user guide and reference purposes and Bible. 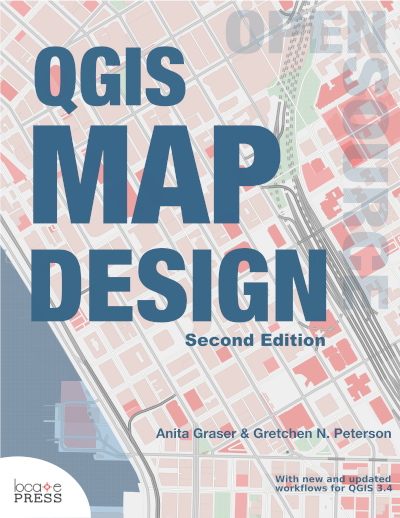 Would love to see Anita’s book become the basis of our 2014 QGIS curriculum project! I hope that this book will answer most of my misgivings of switching to QGIS from ESRI. The ability to make professional looking maps in a production environment is my biggest concern. Everything else I’m doing in ArcGIS I’ve been able to replicate in QGIS, but I haven’t given it enough time to gain the understanding of how to get the maps to look like what we want. I hope this book will provide some answers in that regard. Hoping it will accelerate the adoption of QGIS, which seems hampered by the dearth of documentation. Anita’s “Learning QGIS 2.0” is long overdue and I am pretty sure everyone is excited that it has been released. After reading the sample pages provided by Amazon, I think this book will definitely be the best book on QGIS, and that sooner or later, it will be a requirement for all those interested in QGIS who already have background in GIS. I personally look forward to this book because I was unable to find any suitable instructions on QGIS with the exception of Anita’s very own QGIS blog. I expect this book to help me transition from arcGIS (a very expensive piece of software) into QGIS with ease; I expect to transfer all my skills that I gained over the years using arcGIS and become a die-hard QGIS fan. Likewise, some specific skills that I wish to gain from this book are: edit vector geometries, convert between raster and vector as well as do geoprocessing, not to also mention the automated geoprocessing with the graphical modeler. Finally, I would like to learn all about labeling and designing print maps that are visually pleasing. Finally, I, along with a friend, would like to use this book as a reference for our small gis startup that will completely be based on opensource GIS. We would like to show people that QGIS is relevant in all sectors of the GIS field. And last but not least, I want to thank Anita for all of her efforts, and for showing us the power of QGIS in her blogs and writings. I would like to see a good overview of QGIS functions and tools, with examples, details and documentation for as many of them as possible. Perhaps part two could cover aspects such as pythoscripting andintegration with tools such as GeoServer? Like many, I am coming from a MapInfo/ESRI background and am interested in cartography as well as analysis. A section on equivalents would also be great! I’m most interested in professional map production and integration with Grass, R, & MapServer!!! QGIS2 is, in my opinion, the best open desktop publishing initiative. I like the way in which is evolving.’I will be pleased to learn more and more about labeling, styling and layouting fancy map, by scripting too. What are the systems Gis? A nothing, without topographical and geographical data free. Or all, once they have helped to free the data. Open Data is the magic phrase of the moment. We will soon see how much of a sentence followed by a greater freedom. For the moment, let’s learn how to use a geographic information system, or GIS a better reading “Learning QGis 2.0”, a new book by Anita Graser, consisting of 110 pages, divided into 5 good chapters. Teaching GIS with QGIS in Tanzania is challenging and we’re always looking for more resources – and this book looks like it will get our students a long way towards proficiency! Well, your tutorials are always well-researched, carefully written and nicely presented, so I’m sure Packt will have made them into a very interesting book. Hi Anita. I work with taxonomy, biogeography and diversity in Patagonian lizards. I’ve been using different software gis (gvSIG, DIVA gis), but to start using Qgis 1.8, I became a fan of this software. I think this book will be a great help for issues related to the functions I use most of Qgis (spatial analysis). I think it would be very good if it includes Python scripting, because it has a huge potential in this regard. Anita go ahead, cause I will continue following your posts and publications. I hope to get your book in PDF format. Greetings from Patagonia Argentina. Ignacio. I have experience working on GeoServer, PostGIS and uDIG and I think I will complete my Open Source GIS package by learning QGIS 2.0. As a long time ArcMap user, having a reference book of QGIS would help me advance my skill set. Excited to see what things QGIS can do that ArcMap can’t/doesn’t do as well. I expect to read it from first to the last page and after so many years to finally get a chance to replace proprietary GIS in my company with QGIS ! Thanks to Anita ! We look to collection of various GIS recipes used to perform a number of common tasks in QGIS. I would love to learn more about QGIS geoprocessing. Having a beginners book on QGIS will help to share the techniques at work. Having a reference for QGIS 2 will be useful in teaching athers about QGIS. I am looking to teach QGIS at the high school and potentially college level. This book may prove to be a valuable resource for that as well as potentially a textbook for students. Thanks for compiling this valuable resource! For first time users who are heavily experienced in arcgis software suite, my expectations for this book would be to take into consideration users making a transition to this open sourced software who are heavily accustomed to their existing workflows. Highlighting advantages offered by qgis versus proprietary software to make the case for utilizing qgis within existing workflows would be helpful if user is not looking to make a complete software crossover. I’ve recently stumbled upon this blog and I have really high expectations and hopes – I would like for this book to be a thing that I can give my fellow geographers and students with words like “Take a look, You will find it realy easy to map/digitize/analyze/present Your data with QGIS” Maybe they will stop bugging me? I hope I could learn some new tricks and help me to become more effective when using QGIS. I’ve been wanting to learn QGIS, and it looks like this book would be very helpful. I expect a book as well for beginners and for advanced users. 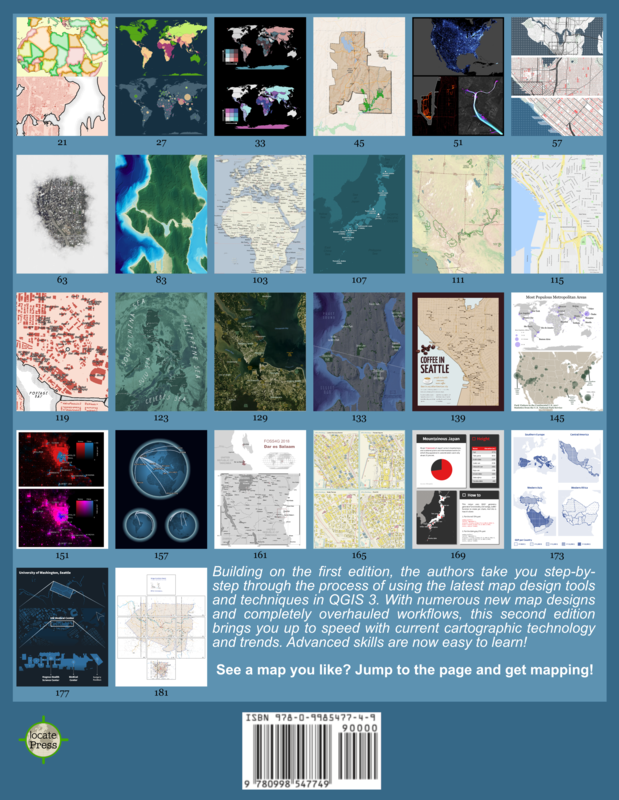 I expect “Learning QGIS 2.0″ book to be a valuable resource for my undergraduate students at the Dept. of Geomatics Engineering of Hacettepe University in Ankara, Turkey. I need your valuable “Learning QGIS 2.0” book. I like to be more advanced in QGIS. I am a field data enumerator for a GIS project in the Philippines fisheries sector. My tasks are data collection of variables comprising fisheries profiles of different municipalities that include gps coordinates, production levels, etc. I then submit the data via email to our GIS team. Out of curiosity I started doing research on GIS, which introduced me to QGIS Lisboa last year. I enjoyed it very much, and although it’s not really part of my job’s scope, I started creating my own maps out of the data I collect. QGIS Lisboa is very intuitive, and made me appreciate my otherwise boring task of data collection/submission on a day to day basis. Last month, a province aquaculturist asked me a few things about measuring land parcels through Google Earth and I recommended QGIS. When we visited the website, I was excited to see that there is a newer version. I immediately installed 2.0, downloaded the documentation, and started enjoying myself with the new software. Further searches on specific QGIS topics, and this afternoon, I landed on this contest page. PS: Thanks for the help you had previously provided in your blogs and in other forums. I would also like to thank other QGIS enthusiasts who are very helpful in my GIS education. Kudos! Hi.. i ave used QGIS 1.8 since its release but just for simple raster/Vector analysis. I am now doing an expansive project covering the IGAD nations. Its on Modeling land degredation using the RUSLE approach. I hope the book covers modeling in QGIS 2.0 as i can see the modeller is included in the new release. I am a geological engineer working for goverment. I would like to see more examples and step by step instructions in a book. For this book I would like to see more info on data formats and databases as well as more on addons. recently I just started back at school this fall to get my masters in GIS. My first class had a strong emphasis on using QGIS (and I anticipate this through out my studies). I have 5 plus years experience using ESRI software, so switching to QGIS took a bit of a learning curb. The manual and help sections were a bit confusing or tedious. I feel as though I learn more from peoples personal blogs that had experience with the software. Once I understood certain aspects of the software I was blown away by some of the things I could do that ESRI charges extra for. My expectations for this publication would a clear overview for a beginner, but also a book that can grow with my skills allowing me to do more analytical a map production. But more than that, I would hope to get a broad overview of the industry, and the major and minor players. I’d also like to learn about how QGIS and mapping more generally can be integrated into market research. I have used QGIS in the past for some small projects, but going forward I would like to be able to use if for larger projects and having a book to refer to would be very helpful. As an independent contract to is difficult to afford commercial software. My expectation would that the book would help me achieve learning processes and skills in which make me effective in my work. Hello, I expect lean more about maps design using QGIS 2.0. We use QGIS as part of voluntary work for some National parks of our region, so I believe manual can help to organize volunteer work. I think that well-structure manual can be helpfull for students and teachers where they could easily find answer. Finally something that motivates me to spend enough time to learn QGIS, even if I do not really need the skill yet. Thankyou Anita for this QGIS resource. My expectation of the book would be a quick explanation of QGIS/GIS general principals (eg projections, datatypes etc) coupled with a more detailed discussion of the more prominent key QGIS components (eg spatial databases, web services, layout manager, plugins, console scripting). Some attractive maps for illustration purposes (and inspiration) would be great too. ouahou, nice idea to make some advertising ! It’s really efficient. Bravo ! I’m very glad to comment this book. Since version 2.0, Qgis is the most interesting SIG (Open Source and Commercial too), so a book for learning how to utilise it is very useful ! Thanks again for this job ! I hope that the book lives up to its title and that it provides a comprehensive introduction to QGIS 2.0. QGIS is such a great application that enables the user to do wonderful things with geo-spatial data and Anita provides great insights and knowledge on how to utilize the software to create great maps and analysis. We work with local government moving them from ArcGIS to QGIS. I would love some tips for answering those hard questions on the benefits of QGIS and how problems can be solved. Thank you Anita for contributing to the GIS community! I hope to learn a few pro-tricks by reading this book ;). Would love to learn some advanced techniques and tips, along with re-learning some of the basics. I can’t argue with having another resource to learn QGIS. I would like to find out more on geoprocessing tools, the python console, and how to create layouts and map services. I’m hoping that “Learning QGIS 2.0” will be a window into the power and simplicity of the current iteration of QGIS. As a surgeon, rather than a cartographer, I know how important visual tools are for learning and how paramount accuracy is when presenting information graphically. I’ve only dipped into QGIS briefly to present national surgical data and I can see how simple the program can be to use… and how that’s just the tip of an iceberg of functions. I expect this book will provide the roadmap to getting the most out of QGIS without getting lost in the myriad features. I have taught GIS in 5 academic programs, over a period of 20 years. I have used QGIS in a researcher role in state government. Ours is a world exclusively populated by Esrilites, since 1986. My survey of our GIS users (over 800 respondents) yielded the most singular facts: we spend nil on training ! It would be great to have additional documentation and training materials for comparison !! I’m newbie in GIS area. I hope to be able to pick up basic GIS skills using the tool and demonstrate its value to the team. I especially interested to work on practical examples in configuring an visualizing data on the map for analysis. I’m new to QGIS,i hope this book helps to learn the basics to advance level analysis in QGIS. The book sounds like a great way to jumpstart anyone interested in learning this software. Organizations tend to overlook open source applications due to the lack of learning and training options; this book should be a good resource. I have looked around for a suitable Free and Open Software for GIS for a new project that me and my friend is starting. QGIS is a very likely candidate so this book will be very welcome when we shall start to learn the program. I hope that the book can be used to convince colleagues to switch to QGIS for the basic GIS-courses I teach to undergraduate ecologists and geographers. Thank you Anita for this useful GIS compendium! You are a valuable contributor to the opensource community! Open Source GIS has come a long way to where they provide a viable alternative to the long entrenched commercial offerings. My expectations for the book is showing how QGIS 2.0 can provide the features and functionality that match or exceed GIS technology expectations for the Enterprise with the openness required for next generation solutions. I look forward to reading your book and being able to recommend it to my colleagues and peers. I would expect the book is written in a manner that both novices (like me) and those with experience can learn new skills. For me there has been a big shift to OS and I want to learn more about it to understand it’s benefits. Im new with a GIS software, in fact, this is the first software im using and i would like to know if there is an online course based on your book. Designing maps for projects, posters, books and other applications was not easy till now by using open source tools. In the era of QGIS this become day by day vital for me as i design lots of maps during my projects. But, i believe that this edition could provide me more informations on how to use more efficient QGIS 2.0 for cartography purposes. Expecting to learn more on plugin management especially on techniques to distinguish those which perform similar functions. I started reading it from our library. I have using ArcGIS and some open source GIS software for a number of years and still learnt some stuff. Great book! In the past I have managed data and produced maps without trouble, although my employer had set up the background layers for me. Working independently with QGIS, I simply can’t figure out how to get all of my desired layers to line up. I hope this packet helps me to understand how to handle mismatching coordinate systems and/or projections, so I can get to work!